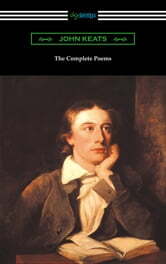 Along with Lord Byron and Percy Bysshe Shelley, John Keats is considered one of the most important figures in the second generation of English Romantic poets. Born on Halloween in 1795, John Keats lived a very short life, dying at the age of twenty-five from tuberculosis. In 1814 John Keats began an apprenticeship with Thomas Hammond, a surgeon and apothecary and by 1816 had achieved his apothecary’s license, which allowed him to practice medicine. However Keats passion lied elsewhere and by the end of 1816 he was resolved to be a poet and not a surgeon. Despite his short life, Keats produced an immense volume of poetry; however the esteem of his reputation rests primarily on the quality of his Odes, which are marked by their use of sensual imagery. Keats was not well-received during his lifetime and sensing his imminent death viewed himself as a failure as is evidenced by the following statement written in an 1820 letter to Fanny Brawne: “I have left no immortal work behind me—nothing to make my friends proud of my memory—but I have lov'd the principle of beauty in all things, and if I had had time I would have made myself remember’d.” History of course has remembered Keats differently, as one of the truly great poetic talents of all-time. This edition includes his complete poetical works and includes an introduction by Britain’s poet laureate Robert Bridges.